Sipadan Island is often voted among the top 10 dive destinations for scuba divers to visit by dive magazines. It houses over 3,000 species of fish and over a hundred types of corals that is scattered in its vast and pristine reefs. The variety doesn’t just come in several types and forms, but also in large quantity. No wonder divers from around the globe frequently explore this island. Located in the East Coast of Sabah, Malaysian Borneo, this island rises 600 meters (2,000 feet) from the seafloor of Celebes Sea. It is the only oceanic island in Malaysia. Here is the countdown of our 6 favourite reasons why we love diving in Sipadan Island. Despite being considered as an endangered species, Green Turtles are a common sighting here. They are often seen lying motionless on top of the reef, and if you are careful with your approach, your interaction may last up to several minutes. 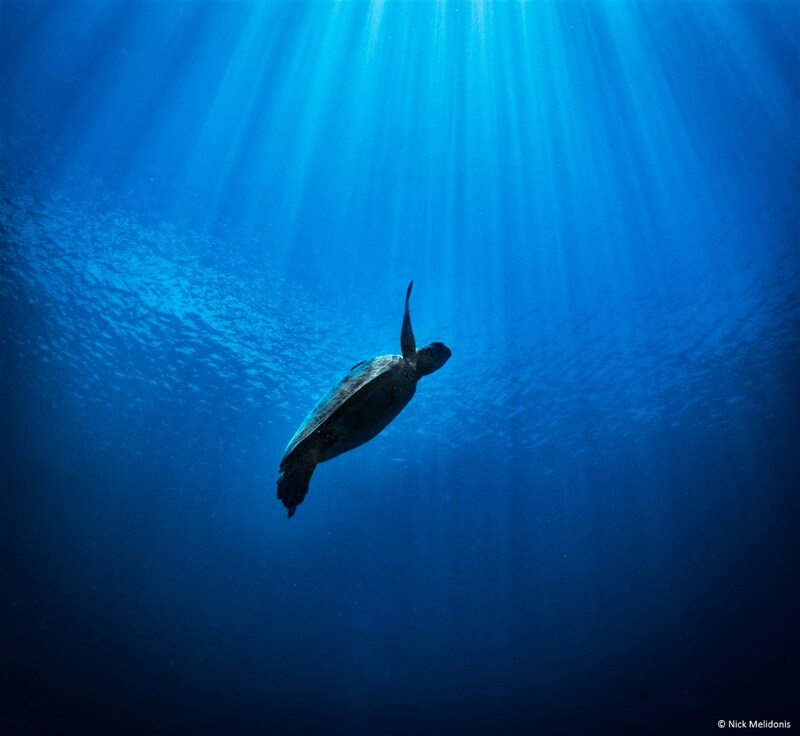 These turtles seem so gentle when swimming and gliding across the water. Many have observed that a school of jacks indicates the arrival of sea turtles in the area. 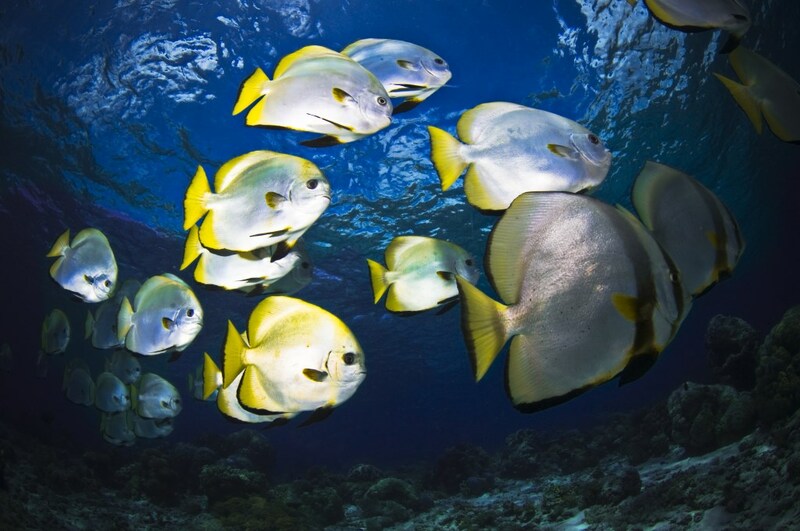 Although there are several types of batfish in Sipadan Island, the most often spotted ones are the longfin batfish where they are often seen in groups. Usually found on reef flats, batfishes are one of the few fish species that might follow you along your dive. While following you on the side, it will give you an impression that they are curious about your presence underwater. But in reality, the main reason they follow you is because they tend to seek refuge from large floating objects where they can be naturally seen under floating debris. 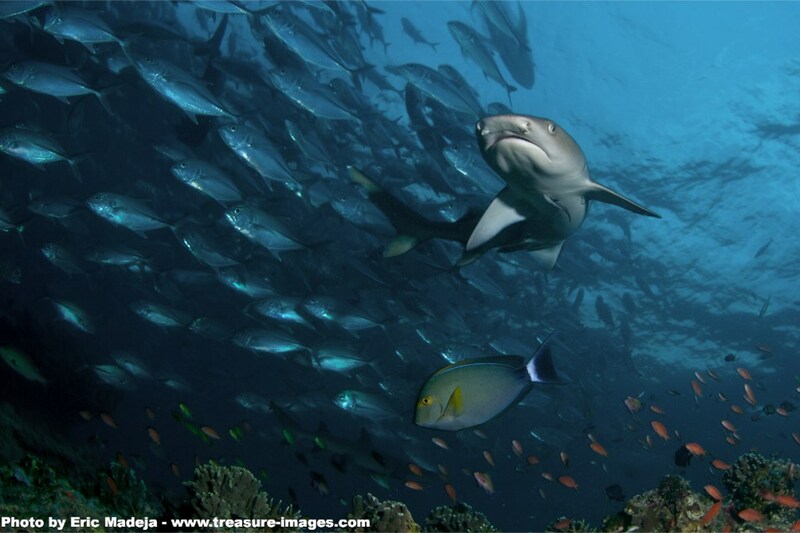 The sharks you see around Sipadan are the reef sharks and the smaller relative to the oceanic species of sharks. Seldom seen swimming during the daytime, these reef sharks are usually found resting motionless on the reef. Despite their harmless nature during daytime, it becomes a totally different animal after the sun sets where these nocturnal sharks become active in search for prey. The most common reef shark encounters here are with the White Tip Reef Sharks and Black Tip Reef Sharks. This is one of the few species here that is easily identified from its vertical head profile with a bulging protrusion on the top and a beaked tooth that looks like those of a parrot. These fishes can grow up to 70 cm (27 inches) and forms a loose aggregation of 50 to 100 individuals. When they move in a group, they often look like they are marching in line due to their need to stay close to the reef. Descending to a reef flat at 10 – 15 meters (30 – 45 feet), you may notice a group of slow moving medium sized jacks that creates a buzzling shade of shiny silver. 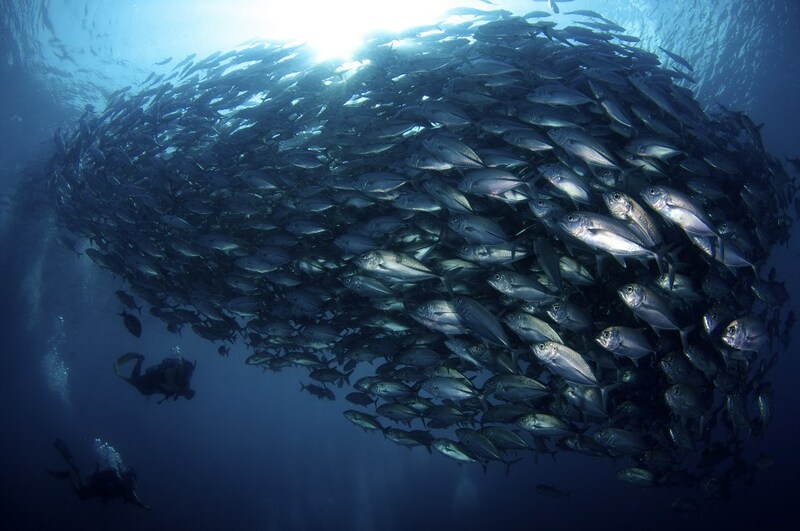 Also known as trevallys, these jacks often swarm in groups of over a thousand fish in just one single congregation. At a reef flat, usually just before the ledge, these jacks pack themselves in a circular formation akin to a tornado. Here, you can just hover over the reef and be hypnotized with their slow and gentle motion. 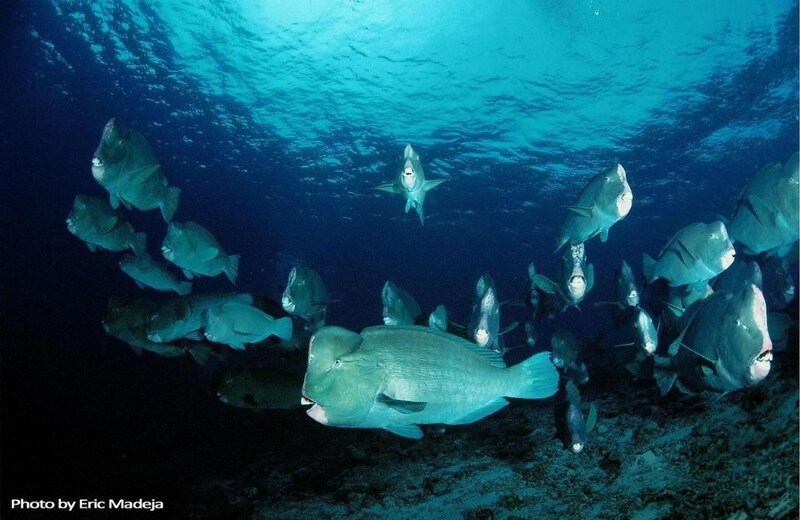 The most common species of Jacks here are the Bigeye Jacks, but other species are often spotted here too, like the Bluefin Jacks and Giant Trevally, but they seldom congregate in large groups. 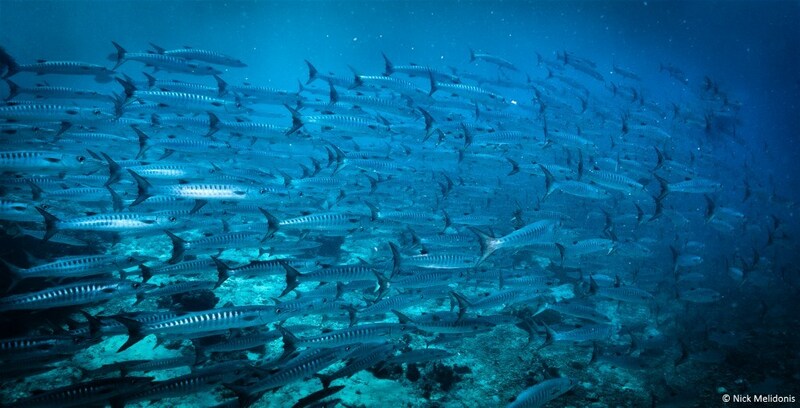 While barracudas in general are solitary in nature, the ones that you often see in Sipadan Island are schooling and goes from a few hundred to over a thousand individuals. These fishes range in size from half a meter to 1 meter (20 – 40 inches) long. The most common species of barracudas here is the Chevron Barracudas. While usually gentle and safe to go near, you should approach slowly and minimize any shiny gear you have on with you. Sometimes, as you approach these barracudas, they will form a wall that surrounds you while whirling around you. Intimidating and exhilarating for sure! Have you visited Sipadan Island? What is your favourite reason to be here?